One of Kaidie’s guidebooks in Life 3.0 is George Orwell’s 1984, for several reasons. Like Life 3.0, the city of London is the novel’s mise-en-scene. In Orwell’s universe, reality is seen through an inverted lens, where the Ministry of Defence fights permanent wars, and the Ministry of Love (I love this- ‘miniluv’) operates through the mechanism of fear. That deep parallels can be drawn with our reality today can not be emphasised enough. And, like the notion of doublethink, Life 3.0 embodies contradictions without contradiction, with no apology. Like Smith, Kaidie is an experiment; while Smith’s choices may seem limited compared to Kaidie’s in Life 3.0, like Kaidie, Smith contrives to seek spaces within which he could exist/live/be. Orwell’s depiction of Smith’s process of torture through to reeducation and final love of Big Brother, is so slowburning that the final inevitable explosion – or, more accurately, implosion – resembles fingernails scratching a chalkboard, largo, breaking in the process and the small sharp bits scratching and incising the pink raw skin where the nail once was itself, a procedure so calculated and clinical as to be chilling, heartbreaking, repulsive and devastating as it is sublimely beautiful, a la Pasolini’s 120 Days of Sodom, Kubrick’s Clockwork Orange or a Gould’s rendition of the slow movement of the Emperor concerto. 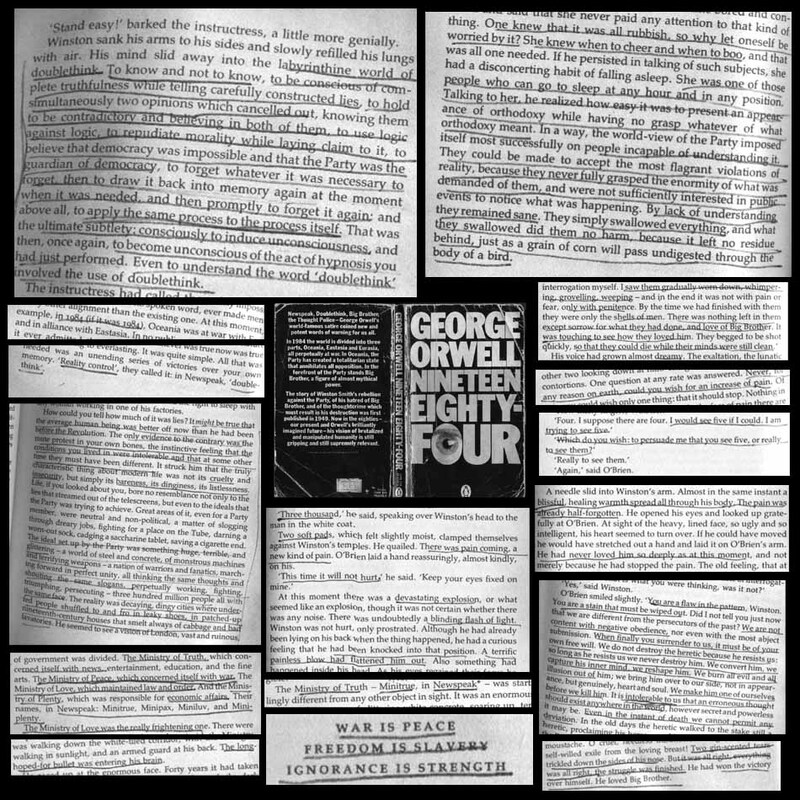 Yet another reason why 1984 resonates with Kaidie is of course, how it has been said that the circumstances of one of her previous lives was ‘Orwellian’. This entry was posted on Wednesday, February 10th, 2010 at 13:45	and is filed under POINTS OF DEPARTURE and tagged with altered state of consciousness, between life & death, chaosmos, city, cycles, dillemma, existence, happiness, london, loop, mind over matter, nondon, outside/inside/out, themes/variations. You can follow any responses to this entry through the RSS 2.0 feed. You can leave a response, or trackback from your own site.